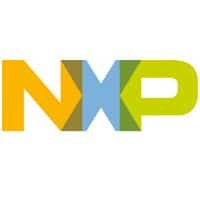 NXP technology has been designed into more than sixty NFC handsets under development by a number of phone manufacturers, the chip maker’s CEO has told analysts, but no more than 40m NFC phones are now expected to be produced this year — down from a previously forecast 70m to 100m units. “We are currently designed into over sixty unique NFC-based handset designs across a spectrum of major handset OEMs,” Rick Clemmer, CEO of chip maker NXP, told analysts during the firm’s Q2 2011 earnings call. However, the number of phones shipped with built-in NFC technology is now likely to be lower than previous estimates. “We are pleased with the adoption and design win momentum,” Clemmer explained. “Previously, we have provided a range of between 40 to 100 million NFC-based handsets being shipped in 2011. However, we currently see the ramp is likely to be towards the lower end or perhaps even slightly below our initial range for 2011 as the mobile operators implement their deployment strategies. “We still believe and hear repeated confirmation in our long term view of the penetration into the smartphone market from our discussions with partners throughout the mobile transaction ecosystem. It’s not if the ramp of mobile transactions occurs, but only a question of when it will take place. In May, Clemmer suggested that up to 100m NFC phones could be produced this year — albeit with the caveat that the numbers could be as low as 40m to 45m units.